Crossword Napkins. 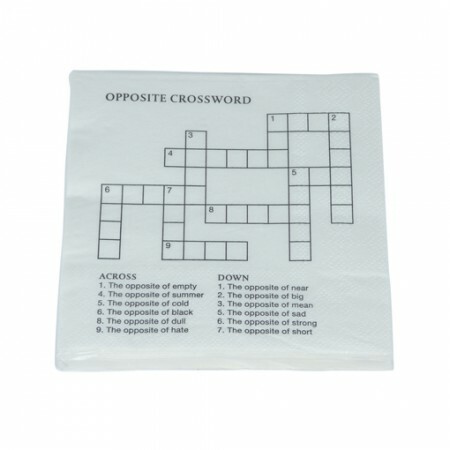 Impress your guests with these napkins with crossword puzzles, at least not be bored while waiting for food. When many people you invite to dinner, you have to prepare lots of food, and sometimes it happens that is delayed a little thing. Remind you that your guests are hungry, you boo, chants against you .... good not exaggerate, just often comment that they are hungry. Solution, entertaining, and an original staff have monitored until hostilities begin,these napkins are certainly puzzle. These packs of 10 napkins puzzle.